In the wake of the Asteroid Wars that tore across the solar system, Victor Zacharius makes his living running the ore-carrier Syracuse. With his wife and two children, he plies the Asteroid Belt, hauling whatever cargo can be found. When the Syracuse stumbles into the middle of a military attack on the habitat Chrysalis, Victor flees in a control pod to draw the attacker's attention away from his family. Now, as his wife and children plunge into the far deeps of space, Victor has been rescued by the seductive Cheena Madagascar. He must do her bidding if he's to have a prayer of ever seeing his family again. Kao Yuan is the captain of Viking, owned by Martin Humphries, who's determined to kill Dorn and Elverda because they know too much about the artifact and its power over him. But the Viking's second-in-command, Tamara Vishinsky, appears to have the real power on board ship. When the Viking catches up to Apacheta and Dorn, their confrontation begins a series of events involving them, the Zacharius family, and Martin Humphries and his son in the transformation of the human solar system. It rocks! 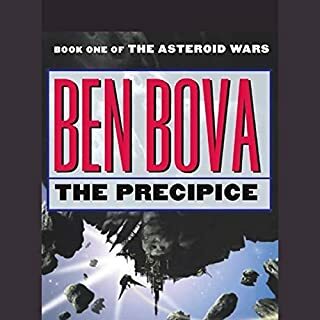 Don't miss any of Ben Bova's Asteroid Wars series, including the first book, The Precipice, the second, The Rock Rats, and the third, The Silent War. And listen to our free Audible Interview with Bova and Orson Scott Card. Bova space-opera of the imaginative kind. Kept my interest, even if it started off like" Leave it to Beaver" in space. Then, it got interesting as all the story lines came together in the last hour of the listen. The male macho was somewhat distracting but balanced by some aggressive female characters. Number 4 of 4 in the Asteroid Wars series and #9 of 21 in the Grand Tour series, this book would have been really annoying if read alone because the characters and the context would be unknown. Overall, a good read and I'm looking forward to the next one. This was a departure from the rest of the asteroid wars series. It take from one small part of the previous book and goes off in a tangeant that is unexpected. There is virtually no use of the main characters from the earlier books, and those that are used really have had such a personality change that they are different characters. While The Aftermath is still an intering book, it is not a true continuation. It is really a standalone book on it's own utilizing some of the same names and events. I simply do not understand why an author forces me to spend time with people I have no reason to like. That's what every scene with the family was like. I kept saying out loud, "Enough Already!". The banter between the mother, son and daughter is especially intolerable! The father has no redeeming character traits. Characters that I used to have some respect for are either non-existant in this story, or they force the father into slave labor and are irrational. This should have been an novel exploring the meaning, purposes and effects of the alien artifact of which Humpries was so terrified at the end of the previous story. It was by far the most interesting part of that book. 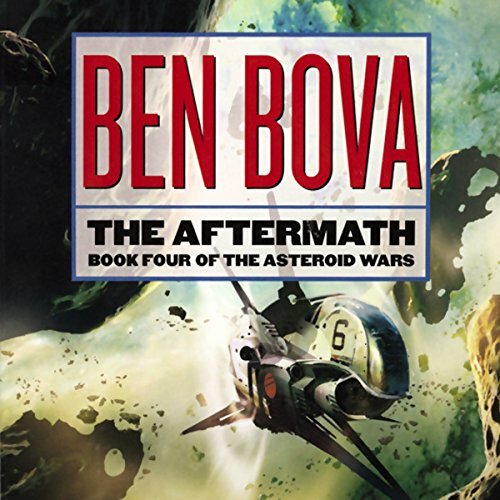 And I think Bova must have known how weak the substance of "Silent Wars" was to have opened the book with a tease of the Artifact, only to reveal its complete inconsequence to the story line at the end of the book. So the reader/listener is left thinking, what about the artifact?!? 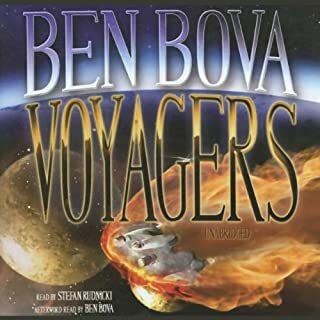 Bova has proven his abilities to write about such ideas in entertaining ways (see Voyagers). I bought this book thinking I would find out the answers. Instead, I was tortured by listening to the whims of one-dimensional and seemingly irredeemable characters. Each character played their stereotypical part. 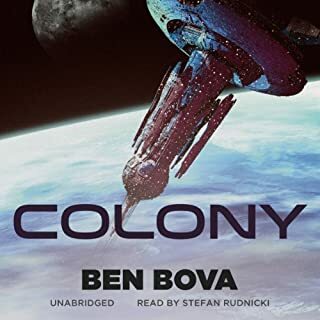 And the alien object that could have proven to be the salvation of the story, the whole book itself for that matter, is treated like an unwanted step child that Ben Bova must have wished he had never introduced into this world. None of my disappointment is due to the readers themselves. They do their best to save this story with their excellent and talented reading skills. But the book was fundamentally flawed when the outline for its plot was first written down. If you've enjoyed the first three books, and I did somewhat, don't bother with this one. It does not contain the answers to the tease at the end of "Silent War". Its just not there. Sorry. I've come to know Ben Bova at least in part. I like a man who creates worlds of good people who face greed, and corruption with integrity. Every time a writer places words into a story each chapter is a window into the writer's soul; before you are all the parts of the the writer's humanity. And I like this man, his mind is able, heart open, he is a brave man, with integrity. This is the kind of story a man who knows himself writes.. I not only enjoyed all four novels, I learned about myself, and about my own human nature through the experiences written here, hardships overcome. I couldn’t put down the Rock Rats trilogy or Jupiter, but this was more like Saturn it was a chore to get through & was full beginning to end of supposedly smart people repeatedly making the stupidest possible choices. This is one of the best rock rat/asteroid war books. Bova has spun quite an interesting and intertwined solar system series. It is an investment in time to listen to all the books, but with such a rich set of characters and events to pull from, Bova keeps you wanting to hear more about your favorite characters with each book. The readers all did an excellent job on this book and made the story even better with their performances. This has been the least interesting Bova book I have "read." 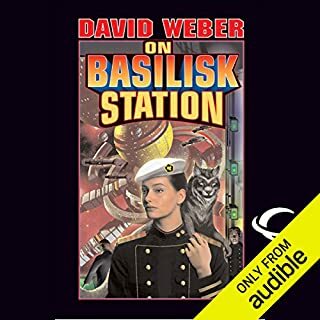 I got this as an audio book because, for some strange reason, this is the only one of the Asteroid War books unavailable as an e-book. I found the story drags and the conversation stilted. I have to lay some of the blame on the reader assigned to the father's chapters. He has a nasty habit of dragging words out to about twice as long as they need be. Not Bova's best work and would have been better with one truly great reader instead of several. Only a few positive things to say about this book. The readers were all fantastic. It was because of their strength I made it through this book. The concept of the character Dorn was very compelling. However, overall, this book seemed sort of pointless, like a denouement that stretched out to cover a book, telling us things we already probably knew or could have guessed. The contortions of the plot to bring in the Artifact seemed pointless, and a mere aside to where the story was trying to go. It takes an alien artifact to achieve such transformations of thought? 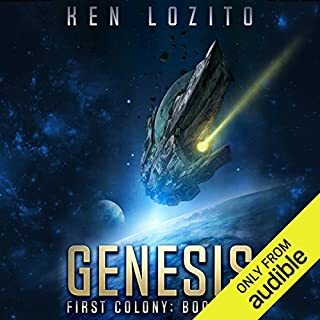 Anyhow, I hunger for good hard sci-fi to show up here on Audible--but this one is a little dated. Let's get some more Egan or Stross, or authors of the generation after Bova here, who have embraced current trends and extrapolate them into their stories. Get these fabulous readers on a book by Alastair Reynolds. How exciting is that idea? 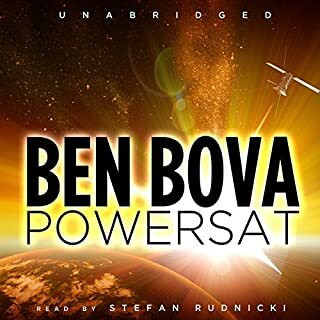 Love Ben Bova, loved this book, the characters are wonderful, the story engaging. The narrators were great, especially Stephen Hoye.